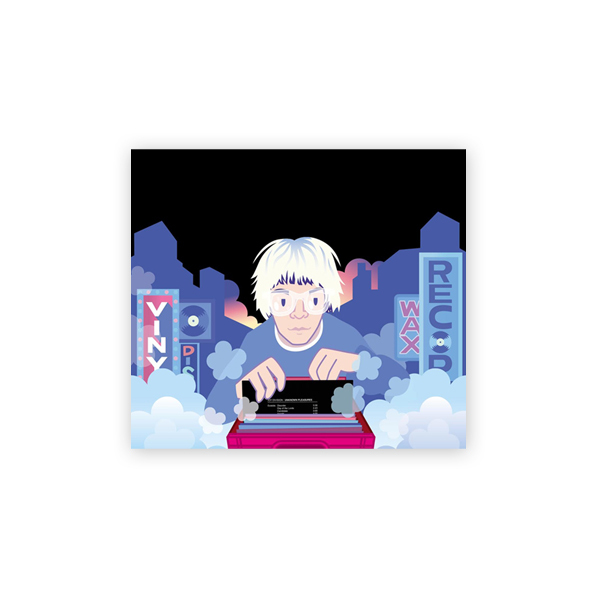 To coincide with the publication of the new Tim Burgess book Tim Book Two: Vinyl Adventures from Istanbul to San Francisco, we are pleased to announce the release a compilation of tracks from the book. The album will be released through Tim’s own label, O Genesis, on July 29 th . Tim Book Two: Vinyl Adventures from Istanbul To San Francisco follows a road trip undertaken by Tim Burgess tracking down records recommended by the likes of Ian Rankin, Iggy Pop and Kim Gordon- it's a celebration of vinyl and those that collect it as well as those that sell it. The compilation, ‘Vinyl Adventures from Istanbul to San Francisco’, is recommendations of the great and the good in life from The Clash chosen by one of The Vaccines to Willie Nelson picked by one of The Clash. No rules. Love sit comfortably beside Joy Division, Isao Tomita next to Duane Eddy. And it’s unlikely you’ll find an album with music by Fad Gadget, Tchaikovsky and Allen Ginsberg.